Woohoo! 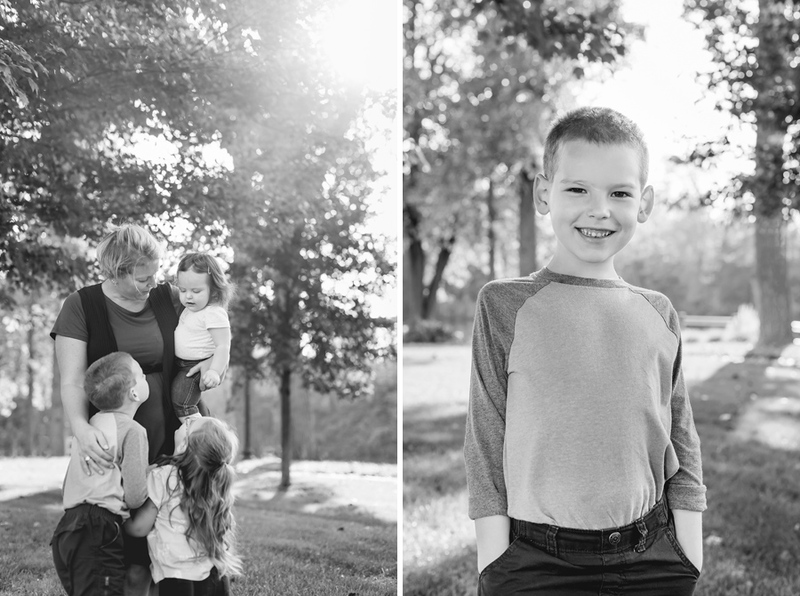 Cousin number two, Krysten, and her adorable family are next in line from my Indiana sessions. 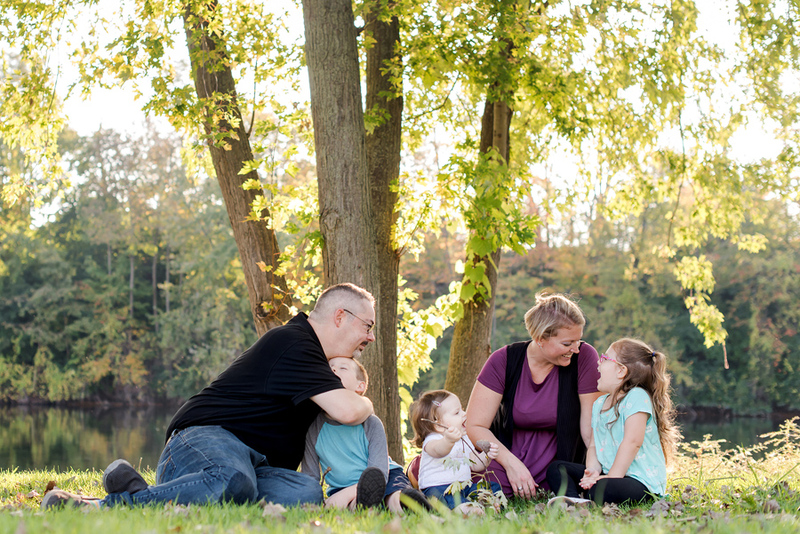 I met Krysten, Aaron, Avi, Theda, and Hazel at a beautiful park in Niles, Michigan that is along the river. It was my first time meeting miss Hazel who turned one this month! She was all smiles, especially when her daddy would make her laugh. Krysten brought a little rocking chair that was her rocking chair when she was little. Avi and Theda are growing like weeds and it was great to see them again and see how their personalities are developing. We had a lot of fun walking around the park and of course throwing some leaves around. It’s not a fall session without a leaf fight. We had gorgeous Midwest weather too- look at all those sunbursts! Yay! 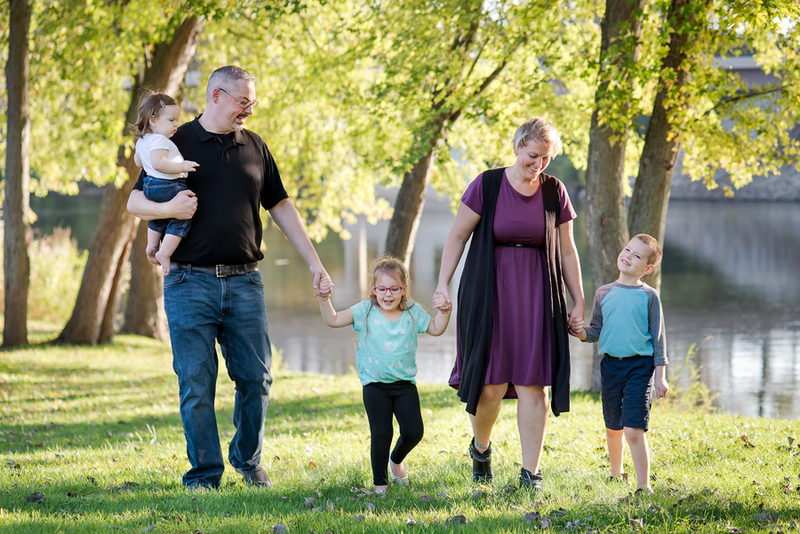 Krysten and Aaron- it was great to see you both and spend some time with your amazing family. Krysten, I feel like we were just youngsters ourselves playing at Grandmas… and now you’re a mom to three! Crazy! I hope you both enjoy the photos. Kim Culp - Oh my gosh Beautiful! Mom - I’d have an extremely hard time deciding on favorites! They are all so perfect and really capture their personalities!! It’s like being there and watching the session take place! Fun, fun, photo’s! !